So we arrived in Cairns after a much longer journey than anticipated, no hiccups with the travel, I just didnt realise how far away from ANYWHERE this place is! We checked into a hostel which was ok, and met an Irish couple Trevor and Shirley in our dorm, They in turn introduced us to Naomi and Kristin and the fun began! We did all the touristy things, walked around town and generally settled ourselves in. Spent days relaxing by the lagoon although it did seem to rain a lot there, guess we were surrounded by rainforest so it made sense! We went out for a few nights wityh the irish contingent, dont know that ive ever met anyone so funny and just really enjoyed thier company. Theyre travelling for a year and working so got an apartment in Cairns so we stayed with them for a few extra nights...and had another night out. Being 5 girls, we were forced to do a rendition of spice girls 'wannabe' on stage much to my disgust, but the other shad had too many daquiris by this point to care! Then it was time for a kebab (because devastatingly at the time McDonalds was closed)Ã¯Â¿Â½and sweet talking the cops because shirley, naomi and kristin had the wonderful idea of skinny dipping oin the lagoon at 3am and were caught....Amy and I refrained form this activity! We took a trip up to Cape Tribulation on a more northerly point of Oz, went croc hunting (well watching) and rainforest trekking and stayed up a night. That wasnt so good, place was a dive and whilst trying to cross a creek the both of us stumbled and got soaked. Also had no food facilities so we went out for dinner which was lovely, but then having to walk back in the pitch black, and i mean we couldnt see a thing wasnt too much fun, just strange noises all around and they dont seem to have come across the concept of street lights there yet. We did make it back in 1 piece however and were safely tucked up in bed by 7pm. It was a ball! 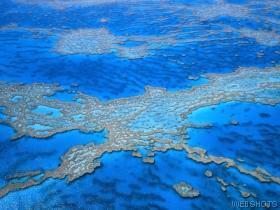 Then back to Cairns for a final few days before heading down the coast to Airlie beach where aÃ¯Â¿Â½12 hr bus ride awaited. Thoroughly enjoyed Cairns and begrudgingly left the girls. Hopefully meet up with them next year to reminisce. God bless Ryan Air!